Abu Dhabi: Being a police officer is no longer just a man’s job. More and more women are playing influential roles as highly skilled policewomen in the UAE, thanks to the government’s efforts to ensure women have a role in the country’s security apparatus. The fourth Policewomen Regional Conference, which highlighted this point in the capital yesterday, brought together several female police officers in leadership positions to discuss the latest trends when it comes to policewomen in the UAE and the region. “In the police sector, Emirati women have worked side by side with their male colleagues with full equality — carrying out all their duties and showing a high level of professionalism as well as proving their competency,” said Amna Mohammad Al Beloushi, director of the Women Police Affairs Bureau. “We have seen the empowerment of women in the UAE in all fields, especially when it comes to the police, where women have reached high ranks and positions of leadership requiring special skills to carry out their duties when it comes to security matters,” she added. Al Beloushi said looking upon the police’s role as a male prerogative is passe. 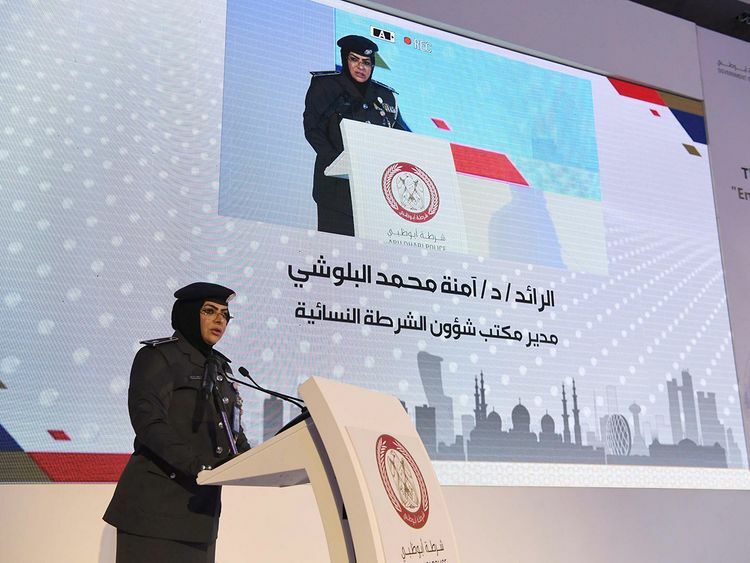 Azza Sulaiman, a member of the UAE Federal National Council who also spoke at the forum, said the increased numbers of Emirati women working as police officers was because of the country’s decades-long policies of diversifying its workforce to include both men and women. Speakers said it is important for women to be innovative in whatever role they are in.